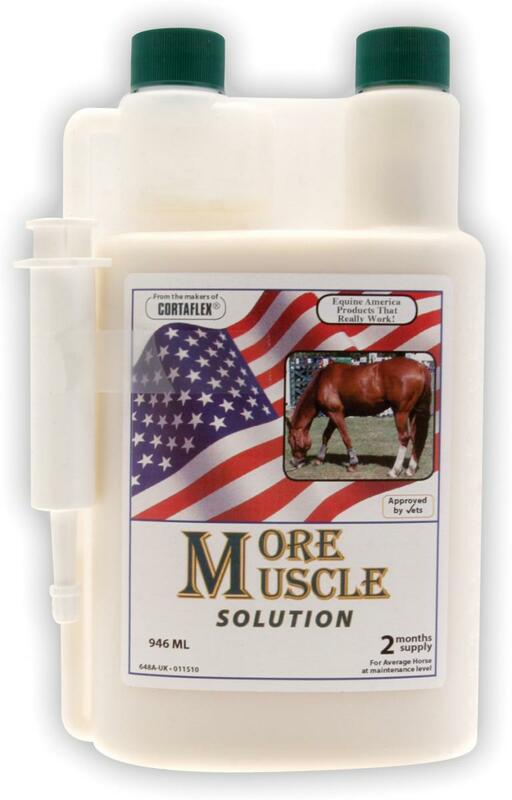 Equine America More Muscle is a short-term supplementary formulation, suitable for horses needing to increase muscle capacity and strength in time for eventing season or in preparation for sale. 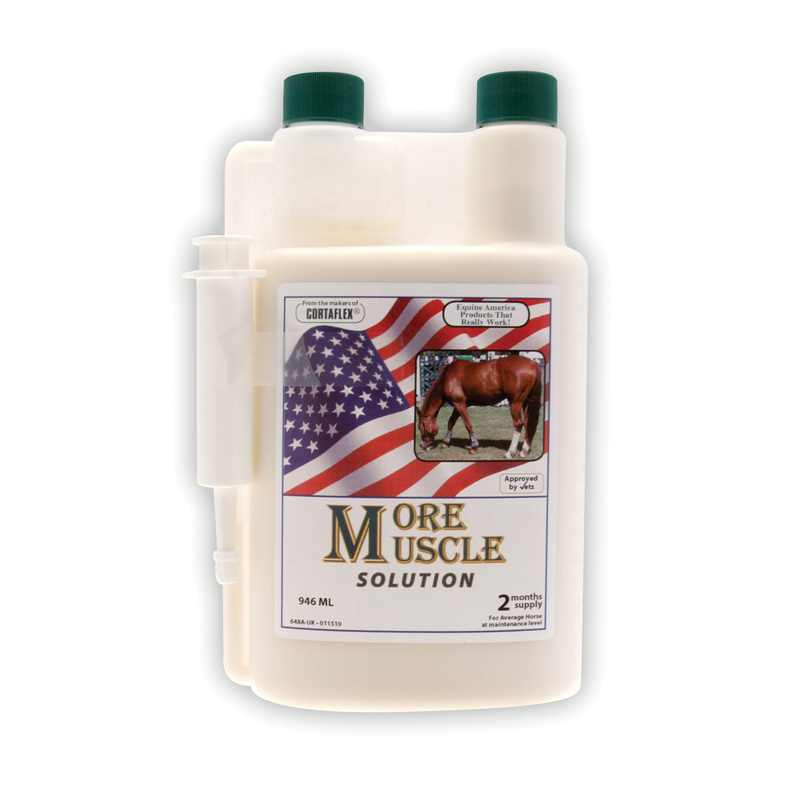 The formulation gets to work straight away, helping to improve the external appearance and internal condition of your horse alongside a healthy balanced daily feed. The 946ml bottle is used by squeezing the bottle to fill up the measuring section, which makes pouring out the correct amount easy. Feeding Directions: For an average 500 kg horse, feed 30 grams daily with the horse’s regular feed. Feed others according to body weight, less for smaller horses and ponies, and more for larger breeds. ingredients: Dehydrated Alfalfa Meal, Rice Bran Extract, Rice Bran Oil, Vegetable Oil, Preserved with Ammonium Propionate. 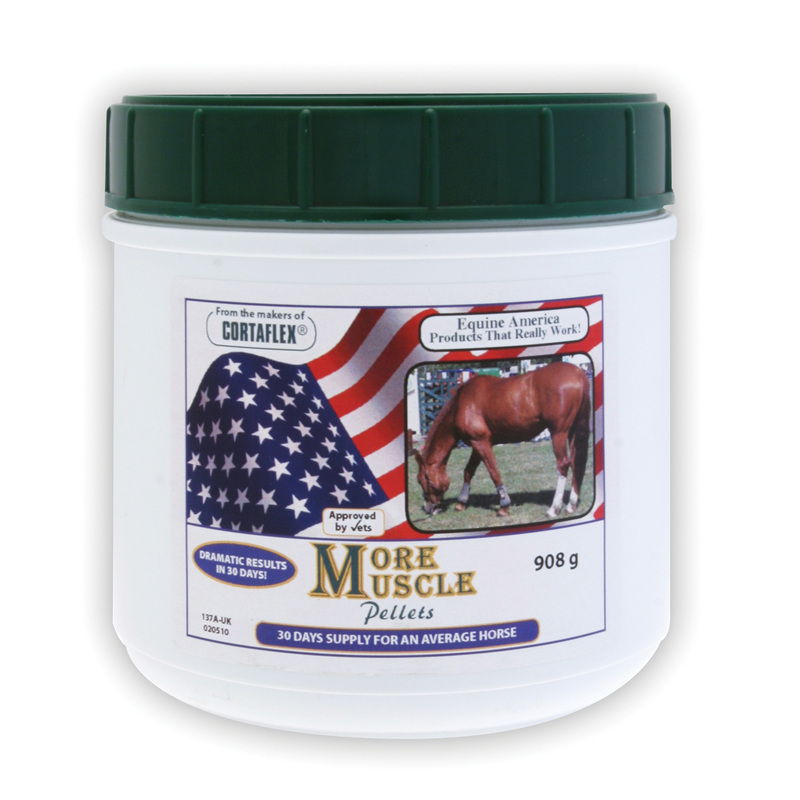 There are currently no questions for Equine America More Muscle - be the first to ask one!